Got the sniffles? We can help. When it comes to the common cold, everyone understands that some OTC meds, a steamy cup of chicken noodle soup and some rest will do the trick. Good as new in a few days. Well, wait...that’s really more fiction than fact. Colds and the seasonal flu are viral infections of the nose and throat that have to run their course. You can do your best to home remedy the symptoms, but the reality is that proper medical care is the appropriate way to go about things. So mom’s chicken noodle soup doesn’t help? We’re not saying that exactly. If it makes you more comfortable during your cold or flu, then, yes, by all means mom’s soup is helping. However, injections of vitamin B12 or C, or a combination of both, really help to kickstart the body’s natural defenses and help “motivate” the attacking virus to move along. Of course you may not experience all of these symptoms at once, or at all, but they are often tell-tale signs that you have either a cold or the seasonal flu. Checking in with our medical experts at Florida Primary Care Clinics is definitely recommended because an untreated or lasting flu can manifest into much more complicated medical conditions. Our Tampa primary care clinics are family medicine centers, so we can help you and your loved ones stop suffering with colds and the flu. Contact us today or schedule an appointment to see our doctors about battling your cold or seasonal flu. Let’s get you better faster with our advanced medical techniques and desire to keep you healthy for a lifetime. 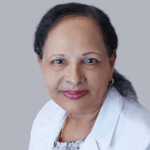 “The good physicians treat the disease; the great physicians treat the patient who has the disease,” according to Dr. Padmini Rajan, an internist and primary care physician with the Florida Primary Care Group.